Since our childhood, most of us in India are perpetually being warned by our elders, especially our mothers and grandmothers, against undertaking any journey on a Thursday. Travelling on Thursdays, they say, will never yield the desired result for which the journey is undertaken. Similarly, many other human activities are also advised against on certain days of the week. Many amongst us often rubbish the traditional advice of our mothers and grandmothers as superstitions. This refusal to heed traditional advice often leads to great peril, failure and frustration. 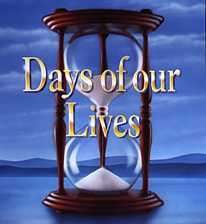 Indians, since time immemorial, have for generations believed that each day of a week is ruled, controlled and governed by a particular planet or deity. The controlling deity or planet of that particular day lends a natural support or benevolent influence for activities of a particular nature. All activities of a relevant nature undertaken on the day on which the ruling deity or planet lends its natural support are likely to be successful. But activities for which the ruling deity or the planet of the day does not lend its support run a high risk of ending in fiasco. 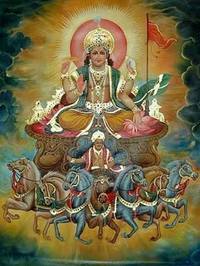 For example, Sunday is the day of the Sun and is ruled by Surya the Sun God. The influence of the Sun on Sunday is naturally very high; the ruling star of the day, therefore, lends its benevolent support for all activities related to celebrations and community efforts. It is the day to offer prayers of gratitude to Mother Earth and a day for women to celebrate their womanhood. Indians have traditionally undertaken activities such as grinding grains and seeds on Sundays. An excellent day to undertake journeys, Sunday is also an extremely conducive day on which to resolve old disputes. Sunday, being a day for celebration, is the most suitable day to feed and entertain friends and family. Pink and maroon colours are best suited for this day. Keeping maroon and pink flowers at home on Sundays will yield good results. If one wears pink or maroon clothes on Sundays one can make friends easily and will enhance one's personality. It is the day which is most suitable to initiate discussions and negotiations about new projects with government officials. Consumption of mungdal and bel fruit on Sunday is strongly recommended. Commercial activities, such as selling products, however, are strongly advised against on Sundays. Sunday is also not considered a favourable day for entering a new house, undertaking any kind of heavy activities, or for quarrelling. All earning-related activities too should be eschewed on Sundays. 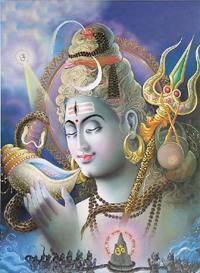 Lord Shiva rules on Mondays. The cosmic teacher of wisdom and destroyer of all evils in the universe showers his benign blessings on activities undertaken on Monday – the day on which his influence is at its peak. The day is favourable for beginning a new career, agricultural planting, gardening and for initiating any kind of finance-related activities. Considered as the most invigorating of all the days in the week, negative possibilities and influences are easily thwarted. Monday, therefore, is an ideal day to enter new houses, make marital arrangements, and for betting and sport-related activities. Monday is also a suitable day for seeking medical help and suggestions. In fact, there are barely any activities which are disallowed on Mondays. White is the colour for Mondays and therefore wearing white dresses and keeping white flowers at home are recommended on Mondays. It is a good day for men seeking favours from women and for making new friends. Taking honey and cucumber on Mondays is likely to yield good results. The planet Mars and Kartikeya, the warrior son of Goddess Durga, rule supreme on Tuesdays, showering Mangala, the universal divine blessing for success in any domain of human activity. 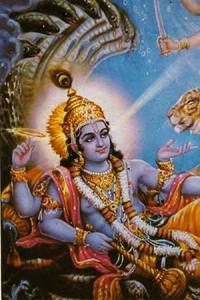 Armed with divine blessings for success, human beings may fearlessly take steps to defeat enemies on Tuesdays. Tuesday is an auspicious day to undertake animal husbandry related activities, especially cows and bulls, and to wage a crusade against evil. Activities involving the use of weapons and fire are, however, prohibited on Tuesdays. Red being the most suitable colour for Tuesdays, wearing red clothes and keeping red flowers at home on the day may prove to be good. Men shall be courageous on the day and Tuesdays are the most suitable days to settle long-standing issues with the police and army. Direct discussions and meetings with police and army personnel on Tuesdays can be fruitful. Administrative and hard laborious work should be undertaken on Tuesdays. All impediments will melt if grilled black bringals and potatoes are eaten on Tuesdays. Rulers, politicians, artists and intellectuals can expect an excellent day on Wednesday. Ruled by Mercury, the day is most suitable for activities involving cerebral faculties, banking, finance, crop and grain trading and the acquisition of wealth. Wednesday is ideal for romance. All activities requiring cerebral input and intellectual faculties are recommended on Wednesdays, as the influences of Budh, the planet that ensures buddhi (intelligence) and Lord Vishnu, the ruling deity of Wednesday, are very perceptible on the day. Quarrelling at the place of work, beginning new ventures and sexual cohabitation without the intention of conception are some of the major activities that are strongly prohibited on Wednesday as the day is charged with natural volatility. Short journeys, if undertaken in the early morning on Wednesdays, would ensure success. The day is ideal for planting trees, as green is the colour of the day. Keeping green plants at home, wearing green clothes and eating beans and gota mungdal on Wednesday would ensure good effects. Though travelling is virtually a taboo on Thursdays, efforts to retrieve lost wealth and articles are expected to succeed if undertaken on Thursdays. 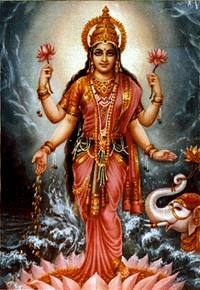 Thursday is the day when the benign blessings of Goddess Lakshmi rain down on earth. 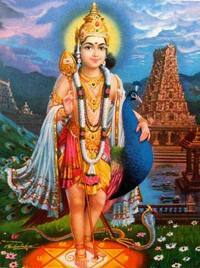 The day is ruled by Jupiter, which is considered as the Guru (preceptor) of the Gods. It is the best day in the week to begin any educational efforts and ventures, being the ideal day to show reverence and offer gratitude and compensation to our teachers and all those from whom we learn or gain knowledge in some way or the other. It is the most auspicious day to visit temples and receive divine blessings. Thursday is an excellent day to join any educational institute or to begin any academic pursuits; such activities should, however, be undertaken in the first half of the day. It is a day to visit temples and receiving blessings from our elders. Wearing yellow or off-white clothes, keeping yellow or off-white flowers at home and eating arhar dal, papaya and rice with ghee on Thursdays may bring in good results. 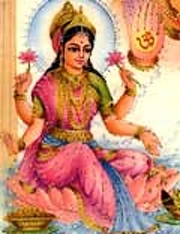 Shukra (Venus) and Bhubaneshwari Devi rule Friday and promise success, especially to women. Happiness permeates the day. Friendship blossoms and effortless gains are natural events of the day. Most suitable for the purchase of new vehicles, Friday is also a good day for medical treatments of serious illness, as the healing energies are most active on the day. Also a suitable day to begin any kind of charitable work, Friday augurs well for anyone travelling. It is a day for purchasing jewellery, precious stones, ornaments and new houses. Paneer and other milk products are the staple food of the day. Very light blue or white are the colours of the day. If you are besieged by nagging interminable legal problems, launch an all out effort to resolve the problem on Saturdays. Chances are that the problem will get resolved once and for all. Contrary to the popular belief, Saturday, ruled by Shani or Saturn, is a spiritual day when people should fast, undertake pious activities and shun all kinds of luxuries. The day also supports financial gains and career advancements and is a good day for purchasing food staples, or horses. It is the best day for digging earth for making wells. Goddess Dakshina Kali being the ruling deity of the day, Saturday is a good day to combat negative forces. There are many instances of big successes achieved on Saturdays. Any work initiated in the first half on Saturday carries a high possibility of success. 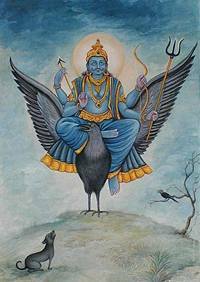 Shani, the ruling deity of Saturday, is considered an extremely pious figure; anyone leading a pious lifestyle on the day, bereft of luxuries, eating sesame seed paste and grilled black brinjal, keeping purple flowers at home and wearing black clothes, is likely to receive success and blessings of Shani or Saturn.